Q: I would like our interview to focus on your poetic-digital work in general and especially V: WaveSon.nets / Losing L'una (Penguin Books, 2002), which is a remarkable dual-poem series, and which coordinates with V: Vniverse (online). 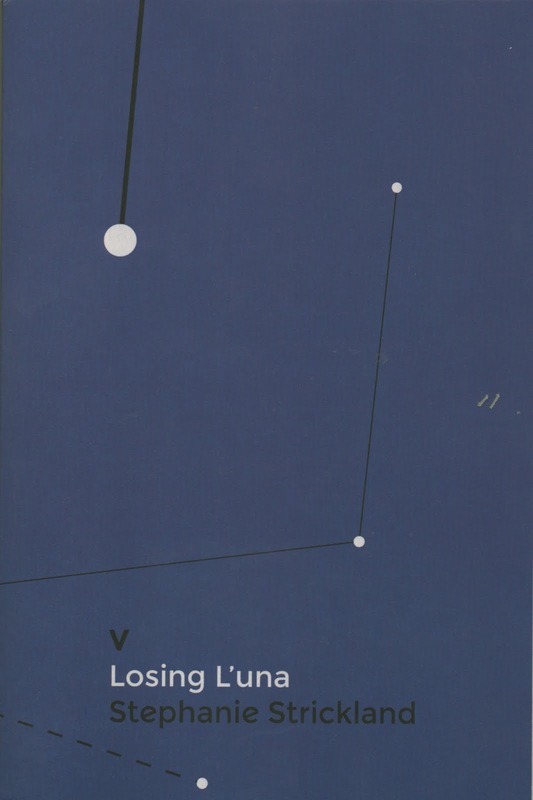 And now you have a subsequent book out, the one that co-ordinates with the Vniverse app for iPad, called V : WaveTercets / Losing L'una (SpringGun Press, 2014). I am intrigued with these books, which are poetry series written about French philosopher and mystic Simone Weil, and concern her death – that loss to the world. But first, I'd like to consider your own background as a writer and digital-electronic poet working dually in such radically different – if interconnected – media, often in coordinated conjunction. In your author biography posted on the website for Ahsahta Press, which published your 2013 book of poems, Dragon Logic, as well as Zone : Zero (2008), you talk about your family of origin and the influences you felt growing up with your father, an electrical and mechanical engineer, as well as your "quiet" mother at the "center." You also describe in depth your two very influential grandmothers – as if they are two halves of your own mind. One was a "suffragette" and "believed in fairies"; the other owned a house with an exquisite old attic "full of rooms and trunks and old books, old journals from the 19th century…" and was an "archivist of journals." I have to say both of your grandmothers' orientations capture MY imagination. You come from an interesting "complicated heritage," as you write in this bio. It seems you have adopted and integrated these aspects into your growing oeuvre -- of a "constructed" yet fluid, disciplined yet open, world of enchantment and (possible) other-worldly phenomena, along with the builder/formalist/concrete role of "scientist." Now can you speak of more recent influences in your life and digital poetry career – about the movement you chose to make fairly early on in the short history of the internet, into a poetry that uses hypermedia, cyberspace, and its possible conjunctions between linguistic languages and "code" – and its interfaces? When did you plunge into the electronic poetry scene? Given that the web was still in a much more primitive state back in 1999, it is impressive to me that you already seemed hard at work drawing those connections, as noted by a look at your on-line cv: www.stephaniestrickland.com. By early into the new millennium, you seemed to be increasingly building artistic poetry work that also engaged a swiftly advancing interactive internet, with acts of reading and writing. and the complex way she is/was received. A fifth part of the V project is Errand Upon Which We Came, a Flash poem made in collaboration with M.D. Coverley. The poem concludes with a quote from Weil: a YouTube read-through appears here; the print poem appears in Losing L’una. The Red Virgin drew on Weil’s biographical and historical situation, not her thought, although a few poems attempted to convey something of the quality of her mystical utterances. Since the woman identified herself with her thinking, I felt this was a significant lack. I also felt Weil was not adequately treated in most literary works about her that I knew of, with the significant exception of Brecht’s Visions of Simone Machard. Thus, I did wish the V project to take up her thinking. Losing L’una engages both her insights and her dying. The WaveSon.nets, or—in its new formulation, the WaveTercets—launches her into a long wave of verse that does not align page boundaries with punctuation (that loops continuously in one portion of the Vniverse app). It pours on and on, entraining her in a long spill of neglected thinkers from the anonymous Upper Paleolithic makers of first marks on stone, through the witches of the Inquisition, to a final vision of her davening figure. With the V project, for the first time I made a work in which an electronic portion was integrated from the beginning. V evokes histories of embodied knowing, from the Ice to the Information Age. It alludes to migrant peoples who attended to the night sky, configuring that sky into constellations to be their clock, calendar, and map. As for my initiation into the digital, I would caution that I believe the “builder /formalist /concrete role” belongs equally to artists, writers, scientists, and engineers. My father was an early adopter of every technology he ever met, including computation. Though I did not realize this as an adolescent, he was responsible for the first digital banking project (check-clearing) and also for the digitization of controls of the BART system in San Francisco. One of my first jobs was being made co-responsible for automating a college library at which I was working to pay for my M.F.A. A NY State CAPS grant led to receiving their newsletter in which I saw a tiny squib about a new Society for Literature and Science. I arranged to attend its conference and have done so ever since (it is now SLSA). N. Katherine Hayles was a founder and inspiring leader of the group. In 1995 she offered an NEH Seminar, “Literature in Transition: Implications of Electronic Textuality,” at UCLA, flyers for which were available at the SLS conference. Not being an academic, I didn’t know what an NEH summer seminar was, but I discovered (online) that it was open to independent scholars. The description made clear that the seminar treated hypertext fiction, the main form of e-lit at the time, but I applied as a poet and representative of a public arts center. I had helped to found and was on the Board of the Hudson Valley Writers’ Center in Sleepy Hollow, NY. I was accepted as one of about 15 people, and it was there that I met Margie Luesebrink (M.D. Coverley). We were the only two in the seminar who were writers doing creative work. In the seminar I had access to a very buggy beta version of Storyspace for Windows on which I wrote the first drafts of True North hypertext. When Eastgate wanted to publish the result, I discovered it meant producing an additional, completely different, Macintosh version. Kate Hayles’s seminar was an intense immersion in the digital—many different forms of it. I never looked back. Q: Can you talk a bit more about your interest in Weil? She is, indeed, a contested, controversial figure -- as well as greatly admired and even beloved by people who are concerned about compassion as a philosophy of being, as well as theories of the working classes, faith and mysticism. What originally drew you to her work? And what are the key pieces in her oeuvre for you? I suspect there are intellectual as well as emotional levels to this draw. She won me by her writing style—of course the only way I know her; importantly, in English. When writing The Red Virgin, I would compare many translations of certain passages. I needed that kaleidoscope. By contrast I was put off by vehement, partisan commentators who rejected either her political or religious or literary writing, never seeing her whole. I find her unflinching, tough-minded, and scrupulous. She respects science but privileges math, “a treasury of infinitely precious images….” She loves literature and has a superb education, both formal and autodidactic. Her actions are often performative interventions. At first I distrusted the self-revising progress of her thought, but I came to respect it. I admire the way her thought developed under the pressure of prejudice, employment at a rural high school for girls, war, exile, and work for the Resistance. I admire her radically democratic non-elite views, including not privileging any particular form of religion, “…Christianity did not begin with Christ,” even though choosing Christianity for herself. She was the first woman I read who knew her own mind and took it seriously. She strikes me as both rabbinic and prophetic, focused on the importance of the individual even though teaching a de-centering “decreation.” She understood folk tales as no one else has. Q: The point about reading Weil in "English" is, of course, "important" ... which leads me to ask about your own work in V and issues we might summarize by the word "translation." Specifically, the WaveSon.nets / Losing L'una poetry text works in conjunction with Vniverse. And now we might say that the app version for iPad also works, or "exists," in conjunction with your revised book, with the “new formulation,” as you call it, WaveTercets. As I read the print version and experience the star-chart software program that is part of your larger project, I do experience that sense of "language" difference that is not a language translation, per se, but is an entirely different text that "borrows" elements, one from the other. In the process of that "borrowing" and attempting to mime (while never successfully replicating at all), each text undergoes both a rebuilding and an "activity." This "activity" is fundamentally interpretative. So when your reader approaches the texts of V through these different print-based and electronic media, both texts of which draw upon numbers and mathematics, your reader experiences a kind of "culture shock" of the existence of more than one "language" (including the language of mathematics). These "languages" can hit her at the same time. That simultaneity creates a destabilization in the reading / understanding process that is exhilarating and perhaps exhausting, too -- at the same time, all in a good way. 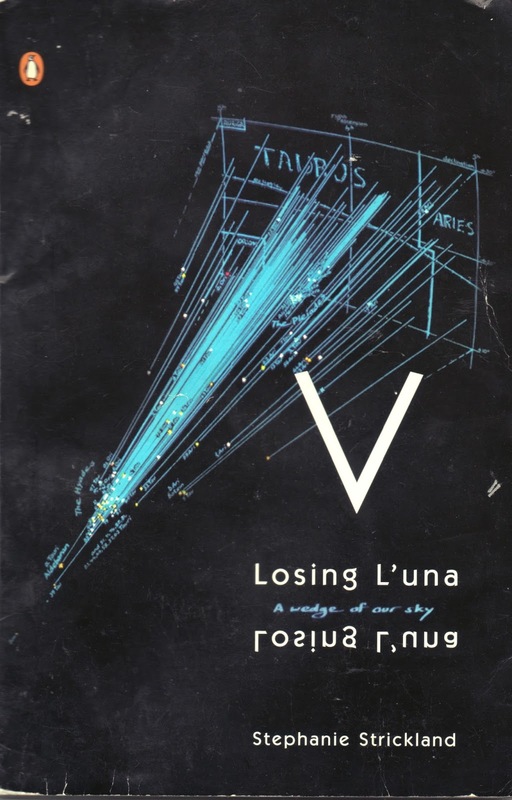 Several pieces have been written about the V project, especially the older version of WaveSon.nets / Losing L'una, which now becomes, I think, a kind of classic in electronic literature. These writings describe its complex structure. What further would you like your reader to know about the set up and interactive quality of these dual / multiple texts / media? Can you describe to us how you conceived of the project with Cynthia Lawson, how you carried through this stunningly original concept that remains important today -- even though there's been so much technological change in the last few years? A: Cynthia Lawson is now a professor of integrated design and associate provost for distributed and global education at the New School. 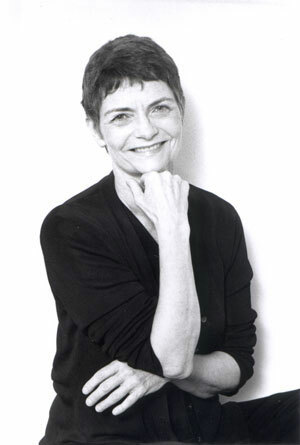 She has an artistic career as a photographer, has produced several books, and is a founding member of Occupy University. I became acquainted with her in the following way. Noah Wardrip-Fruin introduced me to people at NYU’s Interactive Telecommunications Program. I posted a notice there asking if any student was interested in collaborating on electronic poetry. Cynthia was one of two respondents. She had an engineering degree from the University de los Andes in Bogotá, Colombia, her home country, and our interests in exploration dovetailed beautifully. In other words, we hit it off, from the beginning. There is much to say about translation, though I do not feel these implementations are translations of each other, nor borrowings from each other. In the beginning, when no one really read long-form poems online, one aspect was to reproduce “the same” text onscreen and on the page whereupon it became shockingly evident that they were not “the same” text. And this is true before any additional programming has been done. Craig Dworkin’s No Medium makes a brilliant case here. What was clearest to me is that both texts contributed to completely different kinds of understanding and each afforded completely different, complementary, reading experiences. Of course, both V: Vniverse and the Vniverse app have been programmed to yield very unusual reading experiences above and beyond simply appearing onscreen. The V work, in my mind, has always existed in a virtual space between its versions, including between the Losing L’una and WaveSon.nets or WaveTercets portions of the printed books (which is why one needs to upend the books to continue reading, why one must absorb the between-the-books page in each book, its reversing or circular text, its gutter, its pointer URL). The more versions, the more complexly interstitial is V’s existence. I think this may align with Scalapino’s view of “activity,” but I would not say that the “activity” in question is fundamentally interpretive. It is fundamentally experiential. What is of course also clear is that much more engagement is required of the onscreen reader—with the possible exception of the WaveTercets-button within the app which allows the entire poem to play through and loop. I know one reader who went into a darkened room and held the iPad overhead just to have that experience. Even there, of course, the reader is needing to do more visual work to follow the Tercets both as they move all over the screen and as they align with the constellations (which are, I note, idiosyncratic both in shape and name). No one ever seems to ask, though, why does the poem take place under such a sky, studded with these particular shapes. How did Ice Age migrants constellate and name their sky? How do we? One concern with “so much technological change,” is that the reader of mobile devices has much less gestural freedom. One of my lectures is entitled, “Loss of Hover: Recreating Shockwave Vniverse as an app for iPad.” An important general issue is the strict disciplining of the use of gesture on mobile devices and the fact that young children are using their hands less to learn—being asked to gaze at a screen instead of manipulating—and consequently learning less well. Changing the topic to mathematics, you probably know that Weil’s brother was one of the outstanding mathematicians of the 20th century. She idolized him; he disparaged her, or not her but her intellectual work, if that is a valid distinction. For Weil, mathematics yielded images that helped her rethink spiritual questions. For me, it is important that she be represented in a world where mathematics is not alien, where all forms of knowledge communicate with each other. That doesn’t mean that it is the world of mathematicians, far from it. Her wish was often a pedagogic one—she wanted to teach everyone, including farm and factory workers; she taught Greek and syndicalism as much as math or the history of science. She found her truths everywhere, including very particularly in the work of her hands, which is why she sought out so many forms of manual work. Q: I'd like to respond to this statement: "No one ever seems to ask, though, why does the poem take place under such a sky, studded with these particular shapes. How did Ice Age migrants constellate and name their sky? How do we?" Recently I was back visiting the southwest to see family, and I found myself outside under the stars again but downloading some of the free apps that now can show us, using GPS, the constellations and planets above us in real time. I had to know what was going on up there (basic locations, i.e., Mars and Jupiter). I came back to New York state and started lying outside at my Woodstock house using iPad's StarChart. Not quite the same thing -- to track the stars and sky-orbs in a humid climate with an iPad! But I DO understand that fascination with skies and stars... and I LOVE that your poem employs this "Ice Age knowledge." In recent years I have also been exploring France's Ice Age cave paintings -- in the Dordogne, for example, where Lascaux is -- unfortunately because of the damage done to the Lascaux cave one now has to enter and "experience" a fake version, situated very close to the real Lascaux, now closed to general tourists. Not to get too far off our own topic by discussing these (so called) prehistoric "caves," but what I have learned, in part, by experiencing them first hand is that there is, precisely, this entire other range of what you call "Ice Age knowledge." Our ancients had a sophisticated view of perspective, and were experiencing what they viewed, literally, on multiple planes of dimension and possibly reality itself. I love that you've "connected the dots" -- literally -- by bringing the concept of a sky guide, constellations as imagined but information-producing images, into the "information base" that technology has always been about. Our ancients had technology too -- of a different sort. It's almost like you are going back to the most ancient of human-nomadic knowledge ... to give Silicon Valley style start-up nomads a lesson about what has occurred in the relatively short history of human cultural life. 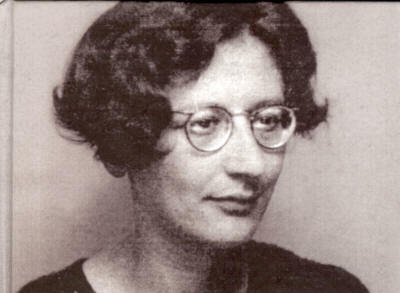 But going back to the Simone Weil dedication in your book, and the inverted relationship between Waveson.nets and Losing L'una in the print version -- the latter which you've written is about her death and her thought-- how does "Ice Age information" and ways of seeing/knowing fit in with Weil? And paradigms of loss? And are we being challenged -- as Weil challenged herself -- to extend our "knowledge banks" mentally ... to the "moon" ("l’una" can suggest the moon, right?) At what point does "knowledge" itself become absurd and bizarre? Or does it? Weil herself "living" as both intellectual and mystic -- could this be a source of the controversy she provokes? A: My sister and I visited the caves in Southern France many years ago. I was so interested that the person who did paint the fake/second Lascaux was a woman. A local tourist board, or whomever, were at the same time, absurdly, calling the Ice Age people the first Frenchmen! Clayton Eshleman’s Juniper Fuse has some interesting cave material in it, though that appeared much later. I had learned a great deal from Arthur Corwin who lectured to the public at Cooper Union about the Ice Age—in 1989 there was a Cooper Union exhibit on Ice Age numbers and Corwin wrote the catalog essay for that. I was interested that in a recent BOMB artist interview another painter, whose name I forget of course, had also encountered Corwin—and his tale of the Romany carrying forward in Tarot the Ice Age approach to numbers, and astronomy. Of course Hamlet’s Mill takes up a version of this material as well. The point about the stars as calendar and map was that salmon matured on a 4-year cycle (recognizable by the hooked jaw) and returned to the same point to breed, and the large mammals followed the same foraging paths each year. The people had to intersect with them very precisely, in order to eat. They had to deliver their children largely in midsummer so as not to deliver in the extreme sub-zero temperatures that characterized Ice Age winters. They had to be scrupulous observers of their surroundings to survive. Their scratchings on bone reflect counting and not naming. My point is that we need to inscribe our own constellations. My Vniverse constellations are not “the real” ones, as there are no canonical, or real, constellations—only the differing traditions of Europe, Islam, China, and of course all different in the Southern hemisphere. Modern technology and astronomy has its own way of reading the sky. The Vniverse inscribes the sky with shapes important to its world—just as all systems do. But my remark was directed to people not noticing the difference between typical star charts and my invented one. In the WaveTercets book, the new constellations are named, as they are in the app. In V: Vniverse the knowledge of them was/is strictly visual, as with the starry sky seen by anyone. I like what you say about imagined but information-producing images and connecting the dots. I do think Weil living as both intellectual and mystic provokes anxious disavowal today, and did then, but this did not disturb her and was certainly not her biggest challenge or threat. I would say we are being challenged to extend our knowledge banks. Q: Can you speak about the role of mathematics involved in Losing L’una, and the WaveSon.nets project, as well? Weil's own privileging of math as that "treasury of infinitely precious images" seems connected to the V work, its numbering system, and the concept of "code" so essential to its component digital texts. A: My concern for most of Losing L’una is Weil’s thought and its environment. You are right that you can hear Luna, moon, in L’una, but of course it means “the one.” That kind of scrupulous and echoic reading is the kind she would do. In a similar echoic way, WaveSon.nets inevitably suggests a wave of sonnets, but more properly is a wave of sound propagating through a net or nets. But to return to math, which can refer to numbering or to the code. In poems without consecutive decimal numbering I quite directly convey her pronouncements or positions. The other poems, numbered in a way based on how government documents are numbered, are separate, 1-8, but then also connected through the consecutive numbering after the decimal point, from 1 to 142. In the ninth poem, “L’una Loses,” which contains details about her death, numbering reverts to 0.0 builds to 0.12 then falls again to 0.0 and indeed 0. This poem is an account of her death and her doctrine together. The complexly numbered poems interweave her thought with the situation of other women, for example Gertrude Stein and the woman described in The Spectator. Reaching book center, needing to upend the volume to WaveSon.nets or WaveTercets, means a larger investigation of the conditions of knowledge altogether, perhaps especially the anonymous contributions which would include most women. Q: Is Losing L’una – and especially that ninth poem, "L'una Loses" – a poem / cycle of poems about grief? If so, whose grief might it represent? A: For me the poem is not a poem of grief. The book attempts to give an account of Weil’s thought that does justice to it, to the historic situation in which it appeared, and to the character of her mind, emotions, and style. It says: here she is—here is what is lost if you cannot track something this luminous and clear and also at the same time complicated and counter-intuitive. This is what you are losing. In the 0.0 poem, she is losing her life, her strength, her attempt to be heard. And the last poem is “All Body.” She is often thought of as disdaining the body—she did work herself to exhaustion in a situation of world war threatening her country, her family, her friends, her civilization—but she believed in the body and its knowledge, few more so than she. Her preference for geometry over algebra came because it was based on a measuring by hand. She did not dismiss algebra or abstract mathematics of course but was very interested in how varieties differed—intellectually and spiritually. I have been cleaning out files and yesterday came across a paper I gave at AWP in 1997 called “Writing the Hungry Body: The Red Virgin.” It closed with Weil’s words: “The danger is not that the soul should doubt whether there is any bread, but that, by a lie, it should persuade itself that it is not hungry.” In this paper I say she “came to hold the still scandalous view that the body was of enormous cognitive importance, that manual work was at the center of a just civilization.” She felt the body’s hunger for respect, hunger for a social as well as a personal home, and hunger for an understanding of unhyphenated bodymind. My poem, “Your Death: What Is Said,” in The Red Virgin absolutely does express my grief for her and for my mother at the same time. Or whatever part of grief still wants to remonstrate with the person for not being there, or whatever part of grief is stunned by a shock or wound it will never be able to wholly absorb. Q: Thank you for these beautiful responses and clarifications. I think that Weil's insistence on what you just said – that "unhyphenated bodymind" and the need for its understanding – is perhaps her greatest contribution to the metaphysics of "being" and 20th century philosophy, perhaps, as a whole. It remains a radical stance, even in the 21st century, to root all of one's "thoughts" in a "bodymind" consciousness that refuses to separate "thought," in fact, from our embodied realities. To conclude my questions, I'd like to ask yet another question about the reader – or the effects upon your reader engaged in absorbing such different media all in the same work. Many writers about your work, actually, have commented in writing on your work in hypertext and its effect (or affect?) upon this imaginary and literal reader. You, too, wrote many years ago about the differences between reading a poem on the page and reading in hypertext, saying, "you live and read differently in the space between print and online.'" So my question is: what happens to the reader when she is "asked" to go back and forth, from print to hypertext to print again? How does this challenge the reader – to think more largely, to read "differently"? fully for the purposes of skipping .... "
Are your texts, in fact, meant for "skipping"? And, if so, do you feel that makes you different from most poetry writers? Don't most of us want the reader to "honor the text" as written -- even if "movement" is built into the language, the poetic interiors? I'm thinking of all the poets I know -- avant-garde and experimental poets like yourself -- who would object to a reader "skipping." Thus, does this "skipping" process reveal something radically different about hypertext poetry? Weil did write about fairy tales, and it is her phrase, “that is not the errand upon which we came— .” But I can't think exactly where it came from just now. It does come from a kind of fairy-tale source, where the “witch” attempts to deflect what the seeker wishes to accomplish. The seeker, always in danger from the powers-that-be, must persist with her mission and re-state it to her challenger. To be asked to go back and forth from print to online is what every person of our acquaintance does every day—what we are doing in this conversation. It is where we live! I have no cell phone, but I don't know anyone else who lacks one. I certainly do intend a sampling, skipping kind of reading or hearing—and that was exactly how the Iliad was experienced by its audience. The Red Virgin was written with an index-style contents—the challenge to me as a writer being that the reader had to be able to start anywhere and have a satisfactory experience of the text. So in a way I was posing myself a hypertextual/link-organized challenge before I had any experience of hypertext. I think this was prompted by my dismay at the fiercely contradictory partisan accounts of her life and her thought that I was reading. Obviously one doesn’t have the same experience if you start at different places. You don’t have the same experience if you read the print first and the online second, or vice versa. The poem lives interstitially and depends crucially on how and when you arrive at it and in what form. I think that was always true of any poem. I also think we need to write now with much stricter demands on structure—there cannot be only one straight-line way of reading that is considered “honoring the text,” “as written”; not on a global network. “A 5th part of the V project, the Flash piece Errand that I made with M.D. Coverley, is based on one of the Losing L’una poems that evokes the new kinds of reading permitted and required online. Stephanie Strickland is the author of eight poetry books and numerous digital-media poetry works, as well as critical essays. She has won several poetry awards including most recently the 2015 Pushcart Prize XXXIV: Best of the Small Presses. Strickland resides in New York City. Laura Hinton is the principal writer of Chant de la Sirene.